Who'd have thought a musical about one of the Founding Fathers would be a smash hit in an era when these august old men are used as ammunition for every sort of political argument? (Especially the one who was killed in a duel with the sitting vice president.) 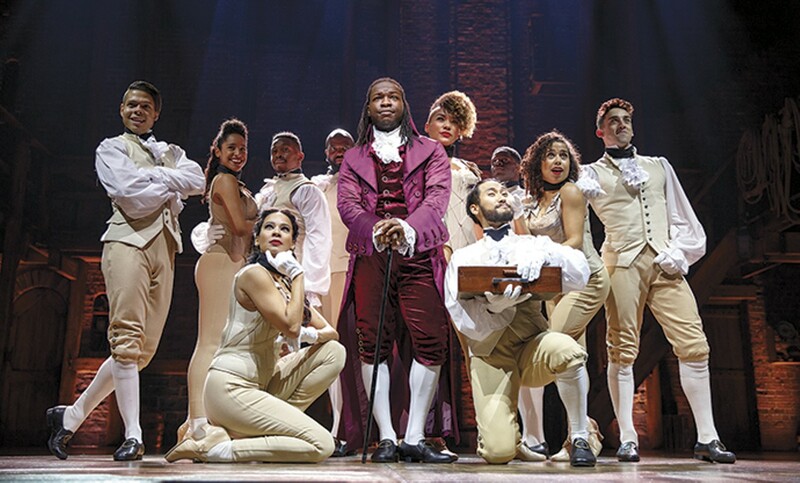 In Hamilton, Lin-Manuel Miranda tells the story of an orphan from the Caribbean who rises to the top of colonial American society and then fights for his young country in the Revolutionary War. Miranda cheekily casts people of color as his civilians, soldiers and statesmen and incorporates a soundtrack of hip-hop, R&B and traditional show tunes to transform our perception of these legends of the past, making them more human. And rather than present an anodyne version of Hamilton's life, Miranda depicts his title character as a brilliant, complex, self-made man — and then he hits the audience with the ultimate truth: No one gets to decide how they're remembered. The highly anticipated musical is performed Tuesday through Sunday (April 3 to 22) at the Fox Theatre (527 North Grand Boulevard; www.fabulousfox.com). Remaining tickets are $125 to $625.